The Lincoln Vogue model has been resurrected and brought into the 21st century. 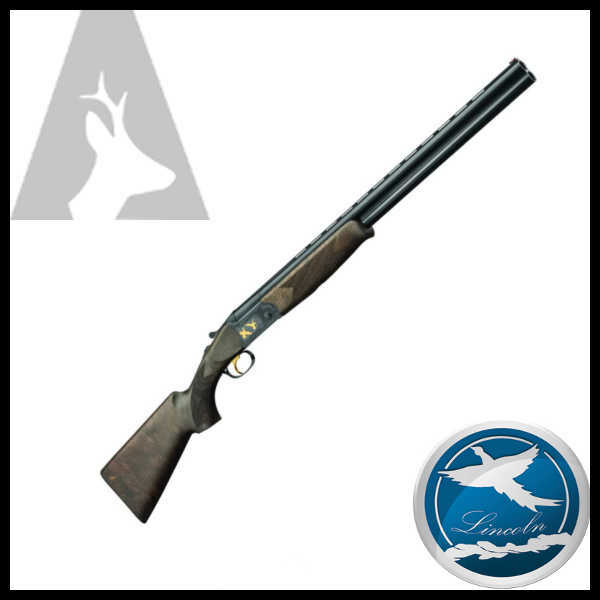 This popular deluxe limited edition gun was manufactured during the 1980’s with a luxury black finish to the action. With a few modern updates, the new Vogue is sporting the tried and tested, reliable action of the Lincoln Premier Gold range. This is combined with a black action featuring a gold inlay of game birds on all sides of the action, with beautiful scroll-work surrounding the gold subjects and flowing onto the trigger guard.